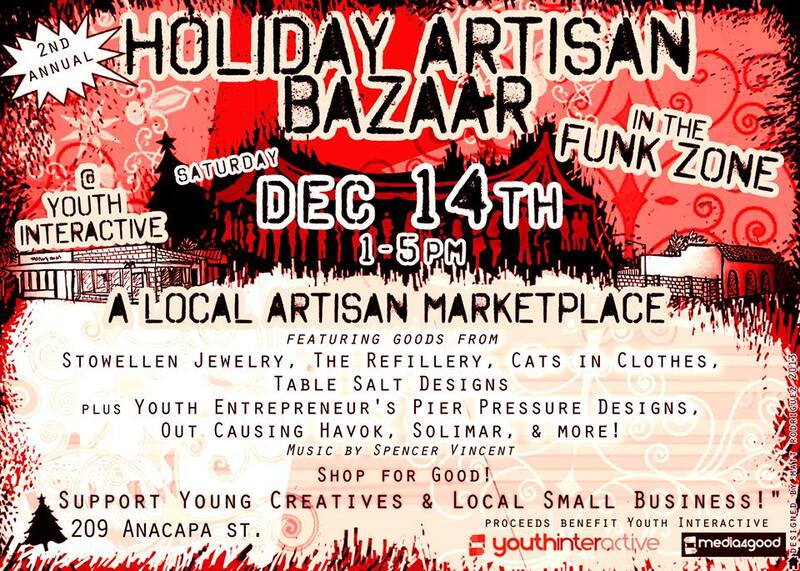 Youth Interactive artists have been as busy as Santa’s elves preparing for Saturday’s GREATEST GIFTS Holiday Artisan Bazzar. The Funk Zone Shop will be full of unique and affordable artwork for everyone on your list. You will find paintings, jewelry, photographs, graphic designs, and original t-shirts designed by local artists and Youth Interactive students. Admission is FREE and EVERYONE is welcome! ‘Tis the Season to give gifts that change lives!